Your Library links are now set to NSLHD Libraries and the CIAP full text links. 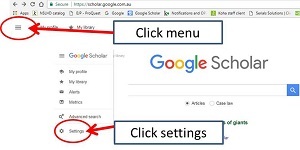 When searching on Scholar, links will appear on the right hand side of the screen if full text is availbale. If you are searching from home you must login to your NSLHD Libraries account and your CIAP remote access account.